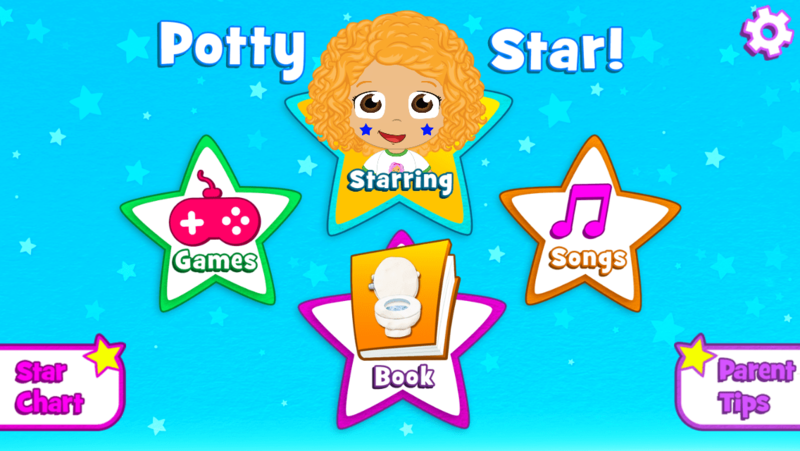 This is a sponsored post for Me-ify Potty Star App and Mom Select; however, all opinions are 100% my own. When the great big ball dropped in NYC to signify that 2014 had begun, I proudly announced to my husband (after a New Year’s smooch) “2014 is the year we go diaperless in this house!” This was quite a brave statement for a lady that had a few too many glasses of wine at the New Year’s party, but I meant it. In 2014 there will be no more diapers in this house. It’s time for my two and a half-year old to be potty trained! Lucky for me, she is ready, I’m ready, this ain’t my first rodeo, and this time we are using a Me-ify Potty Star app on my iPhone to encourage her and keep her interested in potty training. Since my little gal is crazy about playing with the apps on my phone, this is right up her alley. What I really liked is the app had plenty to keep her entertained and keep potty training on her mind. The app was fun, interactive, and kept her coming back to play again and again. I hate when the kids lose interest in an app quickly and we have to delete it after a day or two. Even my son jumped in to play with Me-ify and his sister. When we were setting up the app together, she really loved that we made the character that stars in the songs, games, and stories look like her. You can record your child’s name so that the songs and stories include extra personalization. Really cute! Since consistency is so important when potty training, even the language the app uses can be tailored to the words you use for body parts and number one and number two. Honestly, I never would have thought about the words used, but imagine how confusing that could be for your kids if too many different words were used! Overall, we both really liked the app. The personalization is great because it allows the app to use words you will be using during potty training (this really helps with consistency). 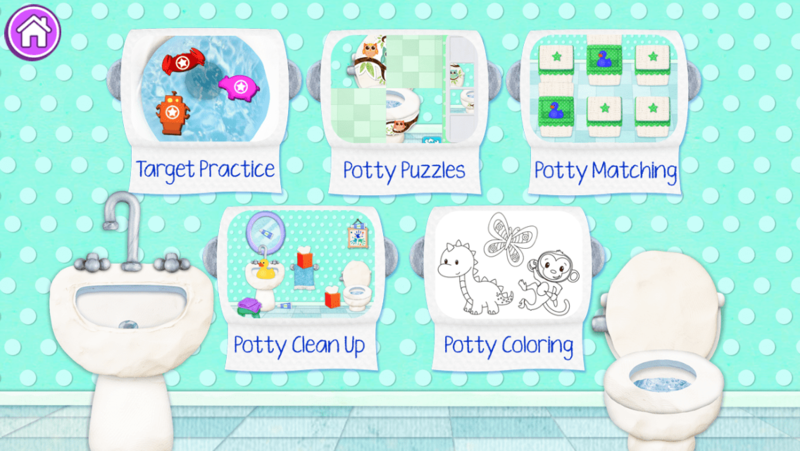 The cute games, stories, and songs encourage your kids and keep potty training on their minds. Finally, there is a star chart that helps your kid see their progress and success while training. So bring it on, we are ready for potty training and no more diapers!! !